Our St Mary’s ‘Purpose Statement’ means that growing community and sharing Christ are at the heart of, and the very reason for everything we do. We believe faith isn’t just a Sunday thing. As followers of Jesus Christ we seek to liv e out our faith in our daily lives. So growing community and sharing Christ means living life together in all its fullness, and being all that God intends us to be, seven days a week, wherever we are – at work, at home, at school. This isn’t easy, and so we gather to encourage each other, share stories of our journey, and to worship the God who loved us first. Growing community is also about loving, serving and building the town centre community our building is located in. Through activities and events we seek to provide and be the spiritual resource for the civic life of Aylesbury and its wonderful town centre. Sharing Christ also means making positive relationships with our neighbours, caring for people through good times and bad, and being all that God calls us to be within our own localities and workplaces. In particular, like Jesus, we want to be connected to those caught in poverty, the outcast and the marginalised, following his example in addressing social justice issues and working towards a fairer world. St Mary the Virgin is the Parish Church of Aylesbury, and also the County Church for Buckinghamshire. The present building is dated to 1271AD, replacing a former Saxon church. Located at the heart of the old town the church is an oasis of calm in the mid st of a busy and vibrant town. As a spiritual resource for the town and county we offer daily services. We welcome visitors in small or large numbers (but larger groups should let us know when you wish to visit please). We have an outstanding Cafe – ‘The Refectory‘ – which offers fresh produce, lunches, soups, cakes & biscuits and fairly traded teas and coffee. 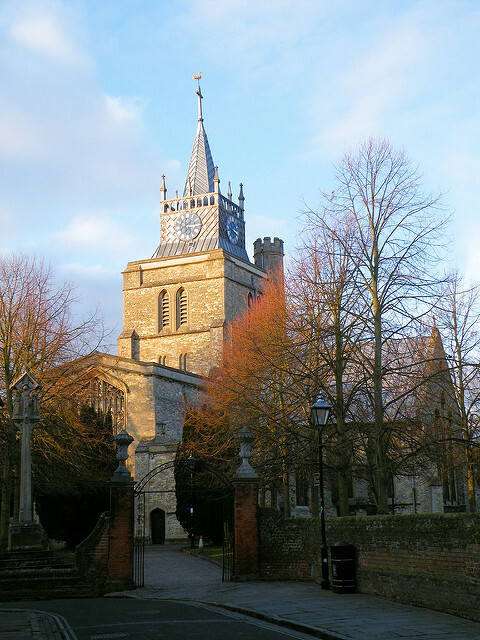 So whether you want to find a quiet place to pray, an historic building to explore or join in one of the many activities, the community of St Mary’s Church looks forward to welcoming you! Lastly, in 2017 we will be launching a major Building & Restoration Project. Watch here for more details in the coming weeks and months. We’re part of the Aylesbury Deanery – the Anglican Churches of the Aylesbury Vale.